According to the latest reports, Volkswagen India is going to launch a new Volkswagen Vento towards October end this year. The car was spotted in Chakan near the Volkswagen’s manufacturing facility. Only time will decide if Volkswagen could provide the projector headlamps and other features to compete against the rival Honda City facelift. The Volkswagen Vento face-lift is sure to have smoked head and tail-lamps as per the images along with an entertaining audio system with steering mounted audio controls, rear parking sensors and cruise controls for the first time on the car. 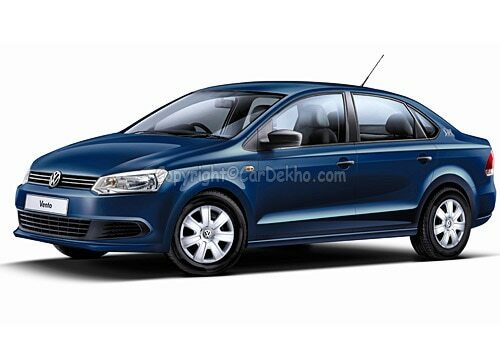 The Volkswagen Vento face-lift might be offered in wider range of colors along with the hike in the price which cannot be ruled out on any upgraded version. The new Volkswagen Vento is likely to come with an award winning 1.4 L TSI engine. The other option could be a 1.5 L engine, which is expected to power the Volkswagen Polo as well.